The little twin cylinder engine bobs about quite a bit as the engine mounts have failed, so have replacement similar sized units arriving soon. New tracks to fit, years of muck to remove and the bucket ram to re seal! I have all but given up trying to get a user or service manual for the machine, they all seem to be in the USA without postage to the UK and web sites do not seem to have them listed even to pay for as when I go to a link the '404' message appears. So if anyone can help, it would be appreciated. 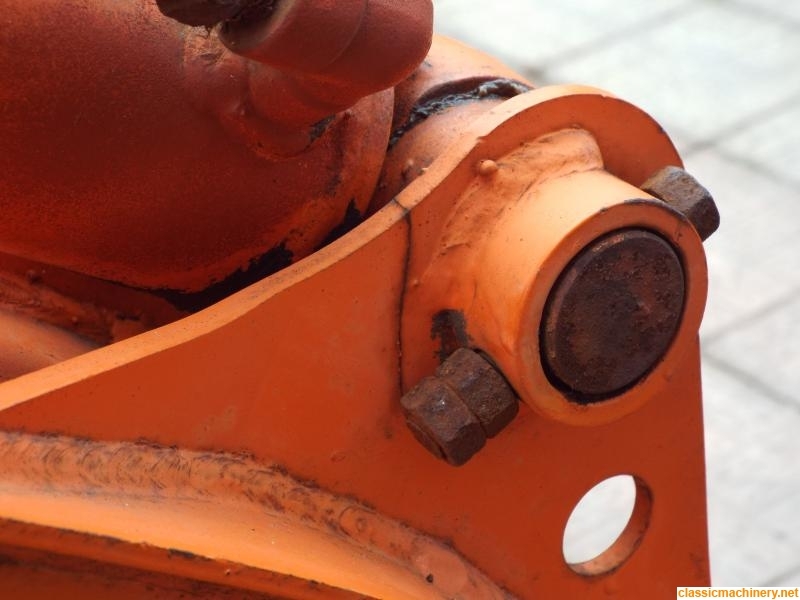 I have one question I need to ask now and that is of the hydraulic ram end nut. As above is 27mm metric and I can not shift it, so thought I would ask if it removed in an anti clockwise direction, i.e. is it a standard right hand thread and anyone know how tight they could be? My small impact is not shifting it so may need to take it elsewhere. Next question will be another day on the track tensioners. Last edited by AdrianH on Fri Aug 18, 2017 12:50 pm, edited 1 time in total. Hi Adrian I cannot see why the ram nut would be a left hand thread? But I don't think an air ratchet would look at it; you need a good 1/2" drive bar and socket or better still a 3/4" drive one and give it some welly it should come off okay. Hope that helps. I managed to shift it eventually today by going direct from air tank outlet to my 1/2 inch impact gun, a few goes and it unscrewed. It was previously I could not see the screw ends, so was wondering about the thread, but sorted. I need to figure the correct pin spacing for the bucket for these machines, the bucket is not original so I am wondering what the measurements should be. I know 25mm diameter pins and I also know 100mm between the ears/lugs, but the distance between pin centres is something I need to confirm? I have 85mm at present and wondering if as per original. Last edited by AdrianH on Fri Aug 18, 2017 12:51 pm, edited 2 times in total. OK got the other track on and also got a 9 inch bucket for the machine, was a matter of searching other model service information, but at least I now know that K008, K008-3 U10 machines have the same configuration for the bucket pins as the older KH-007. The engine is the same as the Kubota tractor G4200 so I have some information on that, it may help me get an accelerator return spring for it. Ram seals not arrived yet. 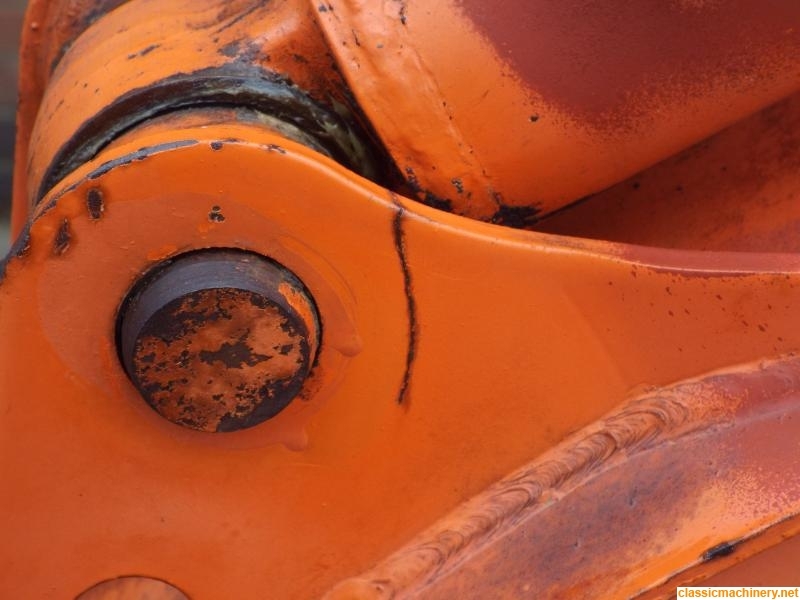 Something I had not noticed on the machine were two cracks on the ears on the dipper ram? (hope I got the correct name). So I ground these out V shaped and welded them up, then use of grinder and flap disc to smooth them out to retain the profile and hopefully not leave any points to start a new crack and we have this sort of thing on both sides. I must get some Kubota orange at some point. The digger has now done me about 18 metres of ditch, including lifting some kerb stones dumped under the garden by the builders, a land drain is in and time will tell if that works, but the digger does at least. If anyone has a pdf KH-21 or KH-007 workshop manual I really would appreciate a share. 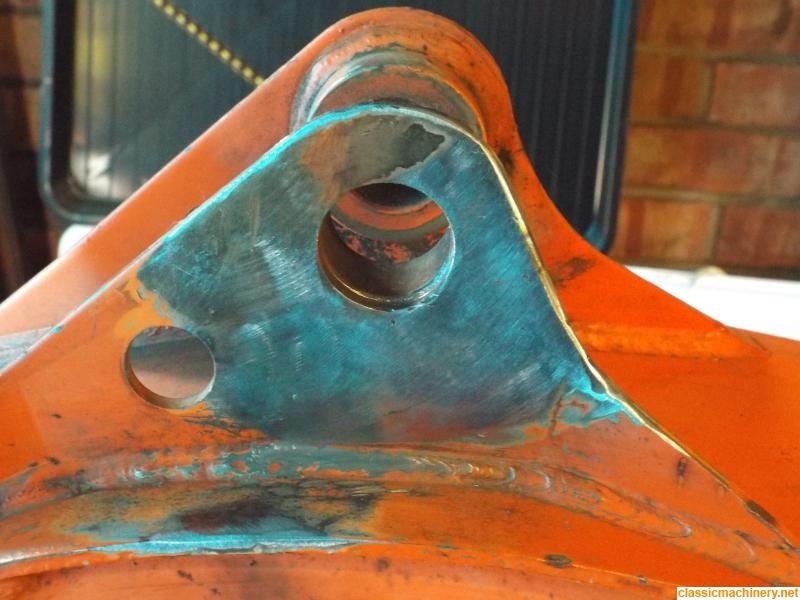 Nice weld repair there Adrian you may have come across the posts I made about a larger Kubota that cam into my works with a broken boom fork end? 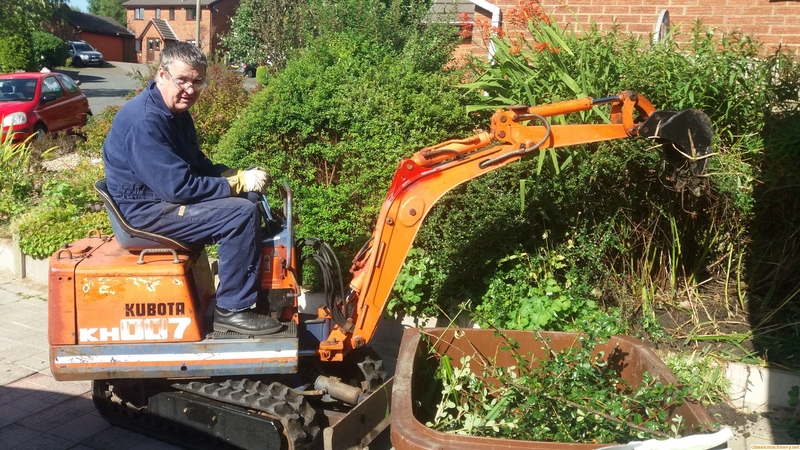 I would suppose that it is important to check for cracks on any make or size of digger as they are subject to large amounts of stress.